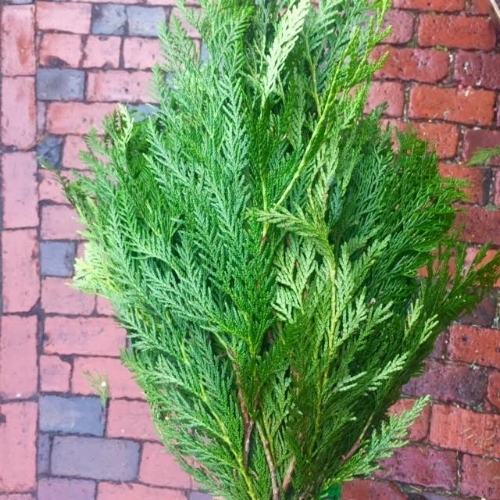 This time of year, especially around Boston and in Beacon Hill, cut evergreens are everywhere! We use many different types in our seasonal arrangements, window boxes and display. You'll find greens on lampposts, wreaths, and in swags.But what are the different types we use? Below are our seasonal favorites that you'll find in our work during this time of year. Western Red: a hardy greenery, the stem on this greenery is a reddish-brown. The leaves lay very flat, which makes this a great choice for a long tablescape or to add another dimension on a wreath or garland. Cedar Incense: slightly fragrant, these cedars have a draping tendency, making them perfect for garlands and a whispy wreath. Port Orford: very hardy, perfect for arrangements and garlands. Grown in the Pacific Northwest. 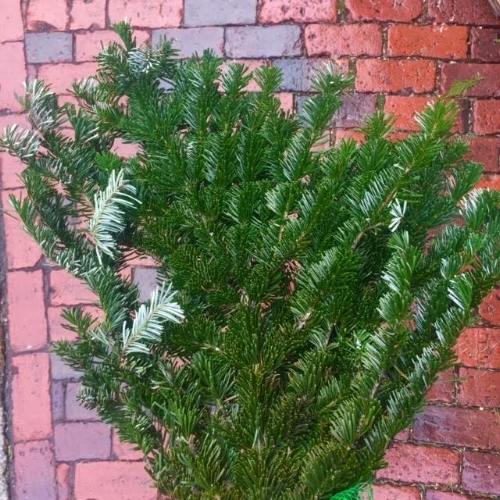 Silver Fir: very versatile due to it's silver underside, allowing for a multi-dimensional display! SIlver fir trees are found in the Pacific Northwest, from the southeast of Alaska, through British Columbia, Washington, and Oregon, all the way to Northwest California! Noble Fir: Noble firs have a much darker green color, which adds a rich tone to any arrangement. These trees are also from the Pacific Northwest, more specifically in northern California and Oregon.